With all of the recent difficulties in the NFL, including player behavioral issues off the field, the league’s bad boy team, the Oakland Raiders, don’t get much respect from their fan base. They should move. There are 32 teams in the NFL, and one team is consistently the worst supported in the league — the Oakland Raiders. Oakland has had its difficulties getting fan attendance, moving to Los Angeles and back again. But as big as L.A. and Oakland are, their stadiums have always been underfunded and the fans showed weak support for pro football, as witnessed by the Raiders waffling and the departure of the Rams in 1995. So let’s look at the absence of Alameda County residents at their home games. The last several years, Oakland has only been able to muster 50,000 fans per home game, worst in the league, compared to the average of 68,000. Even “small” market cities, such as Buffalo and New Orleans, each with 1.1M people, can muster 66K and 72K fans per home game, respectively. But the Raiders have a good, recognizable brand, and their merchandise is often purchased in the most surprising of cities around the globe, even if it is favored by those in “rough” neighborhoods. So rather than fold, they should move to a city that would respect them. If I owned the Raiders, I would would relocate them to San Antonio. Why? 1) Fanbase. There are 3.5 million people in the San Antonio / Austin area. If just 2% of that population attend the home games, they would be in the top 1/3 of of NFL teams for home attendance. The have the fan base potential. 2) Freaks. People in Texas just love football — they’re freaks for it. Boys grow up playing Pop Warner. College football loyalty is fierce. Old ladies watch it on Saturdays. The Alamo Bowl brings in over 65,000 fans every time a Texas-based university is invited. 3) Space. 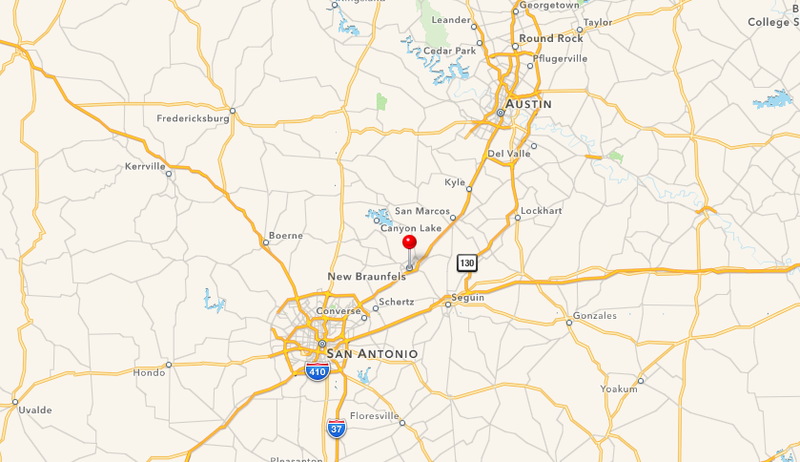 San Antonio and Austin are just an hour drive from each other, so a new stadium located in the space between then, say, near New Braunfels, will easily find room to construct a 21st century, 80,000-seat stadium and will fill from both the north and the south on I-35. San Antonio and Austin can jointly support an NFL franchise, placed smartly near New Braunfels. 4) Separated. San Antonio is 175 miles from the Houston Texans stadium and 250 from the Dallas Cowboys stadium. Those two teams don’t have to worry too much about fan loss with the appearance of a new franchise. Besides, Dallas has an overabundance of fans and can spare a few from the south. 5) Attitude. San Antonio can pull off the Raiders’ attitude. With their Wild West and Alamo history, plus Austin’s “Keep It Weird” approach to life, there is enough swagger there to make themselves Raiders fans with their ‘tude. With all the troubles in the NFL, it’s time for a surprise move, if only for a wake-up call to lazy NFL fans who don’t go support their local team. Move the Raiders to San Antonio and leave the Al Davis era behind. Disc Golf comes to Apex, NC! This Saturday, March 29, 2014 the Apex Nature Park will have a Grand Opening, including disc golf lessons. But it almost didn’t happen. The park’s Master Plan did not have disc golf anywhere on it. In fact, no one had even considered it. Until I educated them. 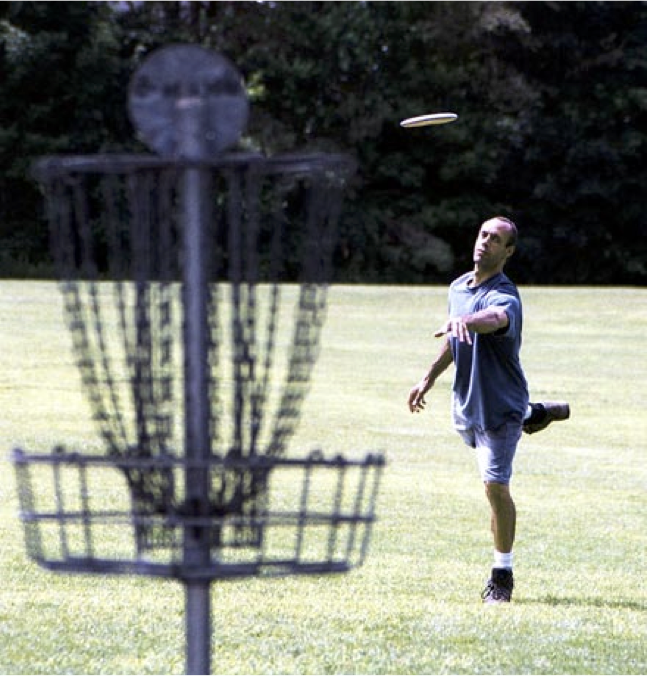 Disc golfers in Apex had to go to Raleigh or Harris Lake in order to play disc golf. Apex offered nothing (nor did Cary, in fact). And disc golf adoption was growing exponentially across the country. The disc, the correct term, is similar to a Frisbee®, made by Wham-O, except it has a sharp edge so it can fly great distances. The tee box is a concrete pad that serves as the starting point. The basket is a metal wire receptacle on a pole, with a chain above, and serves as the destination. The game is played like golf — the player throws a long-flying disc (driver), then walks to the place it landed, throws a mid-range flying disc (approach) and eventually tosses the final disc (putter) into the basket. Counting the throws as strokes, the golfer keeps score just as in “ball golf.” Groups play together in twosomes, threesomes and foursomes, they “play through” when the group behind has faster play, and an ace is rare but achievable on some shorter holes. Etiquette is much the same when it comes to avoiding noise during another player’s throw, not crossing between a player and their destination and touching other people’s discs that in are play. For players, the game is easier to master and much less expensive than ball golf. A wide ranges of ages can participate and the game can be as casual or as serious as one wishes. It encourages walking among the trees, which act as natural obstacles. For recreation departments, it is less expensive to install and maintain than traditional sports, it leaves more of nature undisturbed by leaving medium and large trees in place. It can theoretically support 72 (4×18) simultaneous citizens (players) maximizing the utilization of the infrastructure. The Town of Apex Nature Park is located at 2600 Evans Rd, near the intersection of Apex Barbecue Rd. The Grand Opening is Saturday, March 29, 2014 at 10:00 AM and will include disc golf demonstrations. Have you ever tried to help someone who wasn’t in need of assistance, and it turned out to just be a misunderstanding where you projected your needs onto them? I eventually took up drinking coffee in my early 30s and was pouring myself a cup one morning when a co-worker, who was talking to someone else, picked up her coffee mug and then set it down on a different table surface closer to me. I thoughtfully poured a steaming 8 ounces of hot java into her mug. Oh…. OK… whoops… my bad. I thought I was being helpful. Senators Cantwell (D-WA) and Cole (R-OK) are nobly desiring to help others, using their very important elected seats in Washington, DC, not to address the faltering economy, the underfunded armed forces, or the swollen budget deficit, but to push legislation that would apply governmental pressures to force the National Football League’s Washington, DC team owner, Daniel Snyder, to change the name of his team from the “Redskins”, who were founded in 1932 originally as the Boston Braves, to something more palatable to politicians. Self-appointed defenders of the offended, including sportscaster Bob Costas, would like all of us to join them in being offended with Native Americans. But who is really offended? In a 2004 survey of Native Americans, only 10% found the term “redskin” to be offensive. Many embraced it in the same way some highly technical people embrace the term “nerd” or “geek”. They are proud of who they are. So these vigilantes of justice are offended by proxy… thoughtful, but perhaps a bit wrong-headed. I don’t mean to say that there aren’t folks who find the term something they prefer not be used. As a Christian who prefers movies and TV shows be filtered for “f-bombs” and gratuitous sexuality, I understand what it’s like to hear a word that makes me cringe. But, let’s face it, people are not going around referring to these communities as “red skins”, as might have been portrayed in 1950s Hollywood films. Neither let us pretend that the Native American community has no ability to speak up for themselves. They are surprisingly silent in this matter, where “meh, whatever” seems to be the pervasive attitude. In fact, many have written in support of keeping the name the way it is. The cause-seekers and politicians are the ones who make the most noise. Incidentally, “Oklahoma”, home to Sen. Cole, means “Red Skin” in the Choctaw language. Shall we insist that he first rally the 3.85 million people living there to change the name of their own state? Like Quixote, politicians such as Cantwell and Cole, acting as self-appointed defenders of the weak, are trying to be helpful, but instead are tilting at windmills attempting to slay monsters where there be none. Following the epic Olympic mechanical failure, Vladimir Putin is probably hunting for someone to send to Siberia.